Panoramic view of Toa Payoh Shopping Mall. This is where I grocery shop most of the time. It is conveniently just a bus away from our unit. Moreover, FairPrice and Value Dollar Store, the two most popular grocery stores I think, are situated there. I opted to shop and cook my own meals rather than buy at hookers for practicality purposes. I usually buy foods I could consume for a week or two. FairPrice has wide variety of choices compared to Value Dollar. The former offers meats, fruits, vegetables, canned goods, and a lot more while the latter mostly offers chocolates and snacks. I am amazed when I found out that Value Dollar also offer local Filipino products such as Century Tuna and Pancit Canton, a bit of comfort food from home. Both stores are strategically accessible to people alighting at Toa Payoh MRT Station and Bus Interchange. So there were lots of people going on and out of here throughout the day. 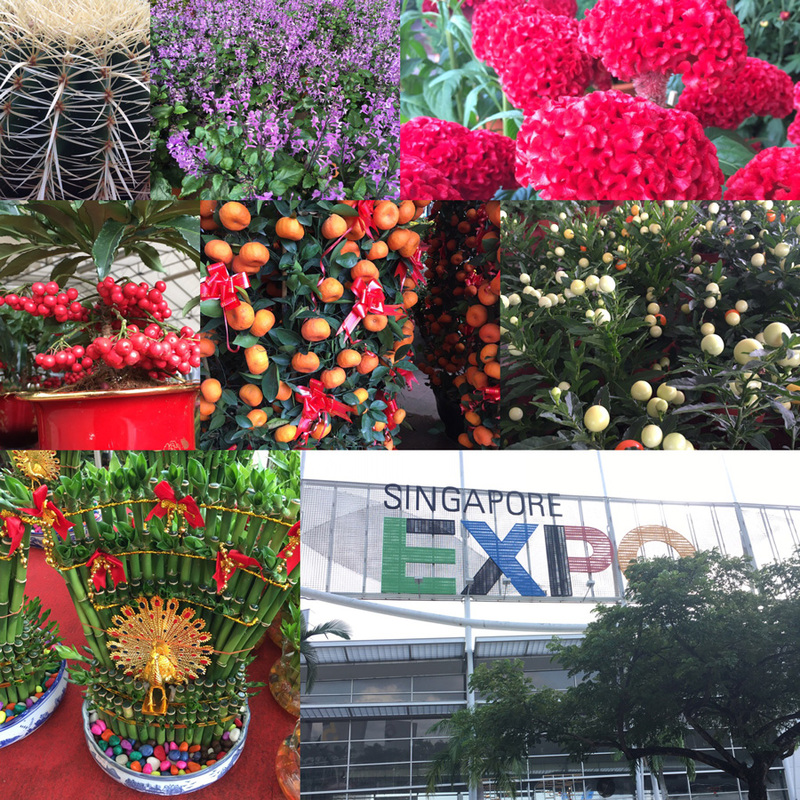 My housemates invited me to go to Singapore Expo, a convention and exhibition venue. It is situated near the Expo MRT Station, one stop away from Changi Station. There is a total of ten large interconnected multipurpose halls that could be used as a venue to host events such as conference and meetings. That day, three halls are used for selling variety of consumer items: shorts, bags, foods, shoes, etc. The other halls are closed. I thought there is something I could enjoy doing there. But it is all just about shopping. I expected to find stuffs I could find interesting. I never really intended to buy anything so I went outside for a walk and took my time to take photos of different plants people sell. 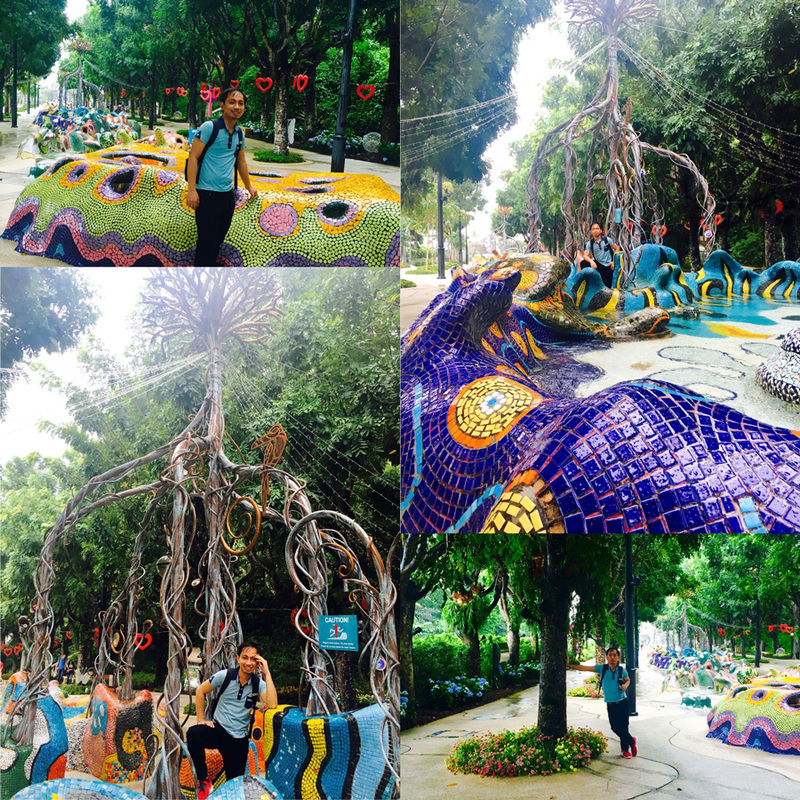 Orchard Road is one of the places suggested by the articles I searched for top places to visit in Singapore. I have never really read what I could find there or see how it looks like. So, when I had the chance, I took the train to Orchard Station. It is connected to ION Orchard Mall where I was lurking around trying to find my way out. Upon successfully finding the right direction, I went outside as soon as I could. I was captivated by the view. There are lots of big trees aligned in the center of the main road. The streets are buzzing with people of different nationalities. What’s more are the bizarre looking and intricately designed exterior of some of the malls along the way. I like this place! Except it was hot the time I got there! But it was really amazing! I never took a photo of the road. I was mesmerized by it. I just wanted it to stay fresh in my memory. There are lots of people walking and shopping. 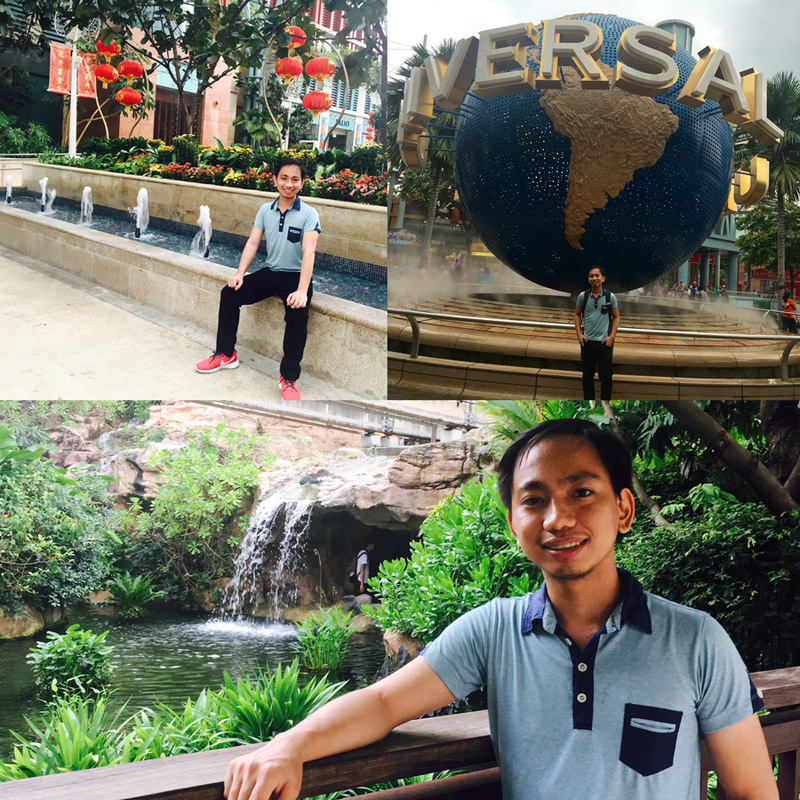 A place which is truly a retail and entertainment hub of Singapore. Numerous international brands can also be found here such as Louis Vuitton, Giorgio Armani, Dolce & Gabbana, Prada, Dior and more! Then, one of the malls I surely should not miss is Lucky Plaza. It has become the main focal point for Filipinos to meet and shop. Inside of it, a lot of souvenir items stalls as well as chocolate stalls can be found. Moreover, there are also Filipinos who sell products imported from Philippines! Even if I’m in a far away land, it feels like I’m home again whenever I hear people talking Filipino, a happy feeling to somehow be connected again to my roots. 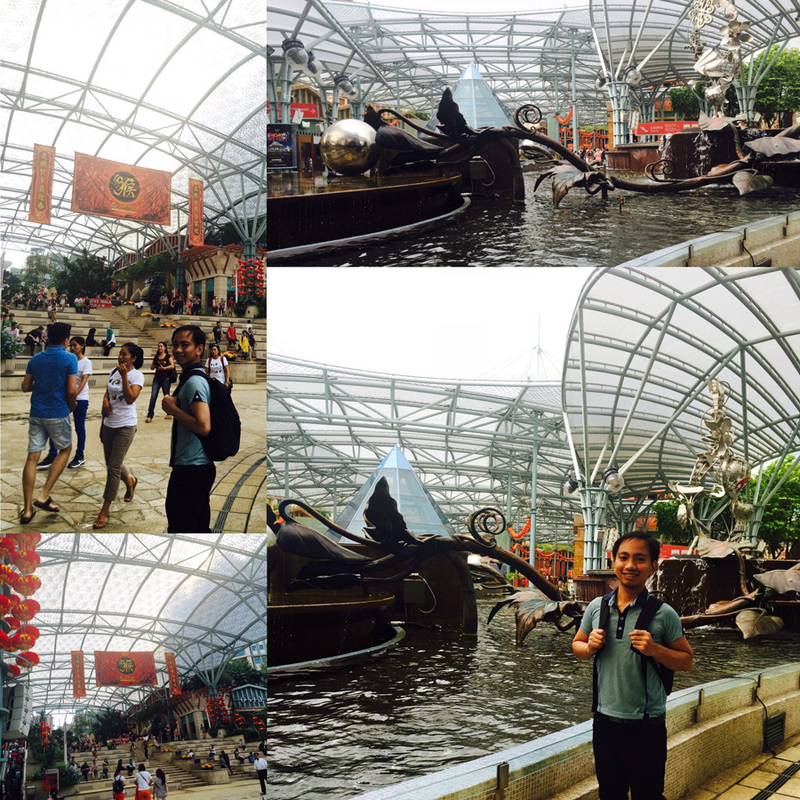 It was Saturday when my friend Ariane and I went to Sentosa. She willingly accompanied and toured me around even though she has been there numerous times. A very kind friend indeed! The weather was humid and it rained moderately from time to time. I readied my camera phone as I pose every time there was an IG-worthy location, making sure to take photos of me on every picturesque corner of Sentosa as much as possible. With less than an hour, collection of pictures started to pile up on my photo gallery. We talked about a lot of things in random while we were walking around. From college and work experiences to the things we aspire in the near future. It is good to have a dream and want something in life as it makes me feel alive. There was a free bus shuttle service from beach station going to different beaches. 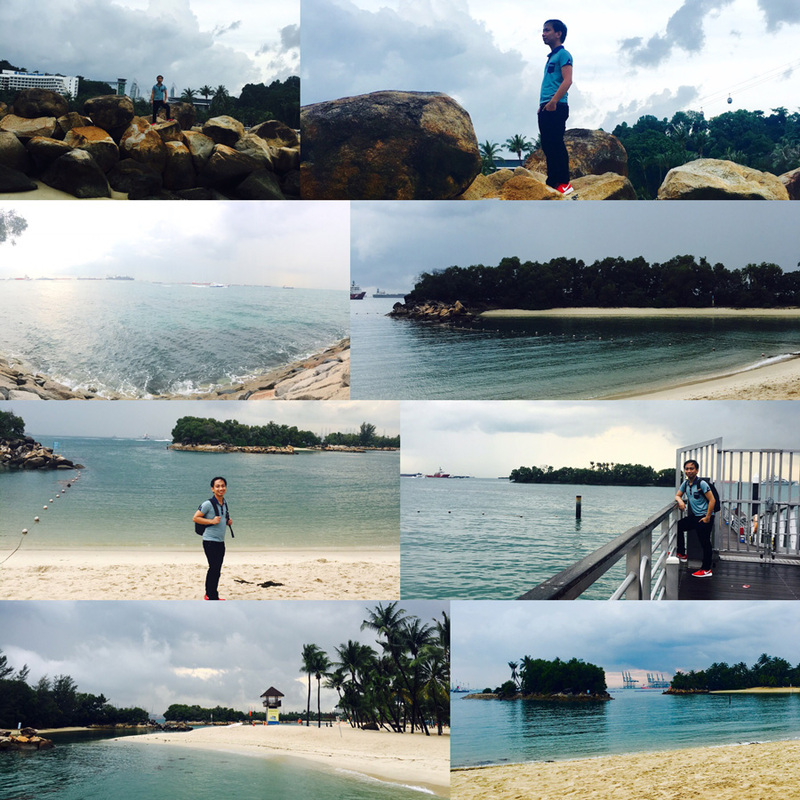 First it was Tanjong Beach, then Palawan Beach and last was Siloso Beach. I didn’t bring my swimming trunks and towel. I never knew there was also beaches here in Sentosa. But hey, perhaps next time I’ll be prepared! It was quite a fun day and I was able to see a lot of various tourist attractions in this island resort. I am thankful to my friend Ariane who shared a lot of stories and encouraged me to pursue my goals. Next time I might be able to go inside Universal Studios and experience the thrill it offers. This entry was posted in People & Events, Space Travel and tagged adventure, beach, friend, sentosa, singapore, travel, world. Bookmark the permalink. 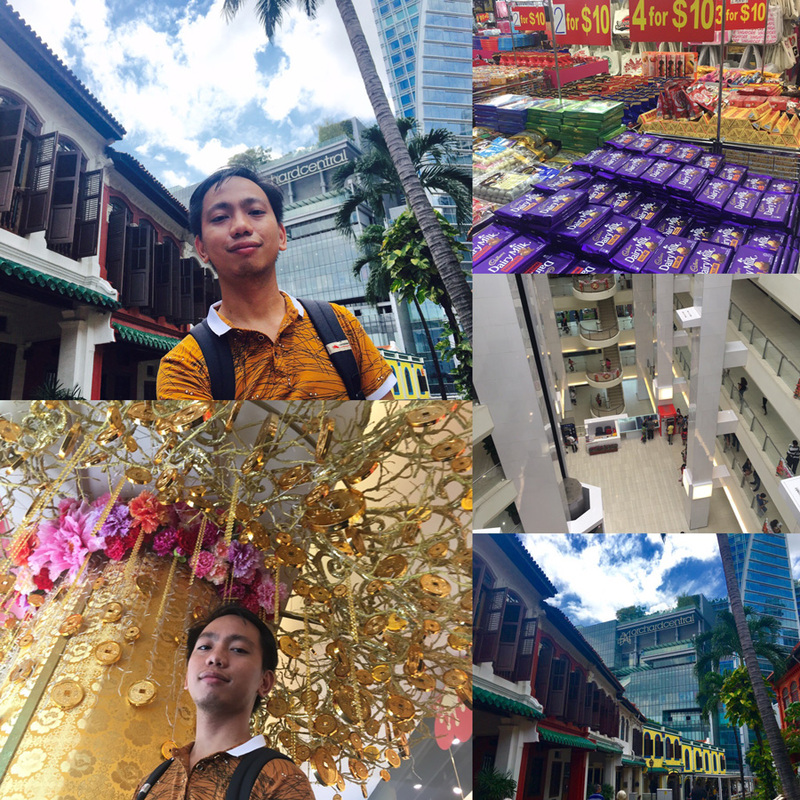 ← Exploring Singapore Part 1: How was my first day like?